Our tour begins at the beautiful parade Herradura based just 10 minutes fromJaco Beach and Los Suenos Resort reader, upon arrival, we will be ready to go on a trip, waterfalls and pools, if you are lucky along the way you have the opportunity to see some large animals like toucans, scarlet macaws, white faced monkeys. Visits to the Carara Biological Reserve, enjoy the beauty of this park in an area of rain forest transition in the Central Pacific of Costa Rica, between the dry climate of the Pacific coast rainforest of North and South . Carara National Park wildlife containing two sides of the incredible country. The abundance of wildlife in this area is quite unique. Crocodiles have been on the planet for 200 million years. Since they have not changed much over time, considered living dinosaurs. It is a window to the past and you can see at least one meter. Crocodile Tour takes about 2 hours, will explore the Tarcoles River. They will be accompanied by a captain and guide, the man of the flora and fauna of the river. 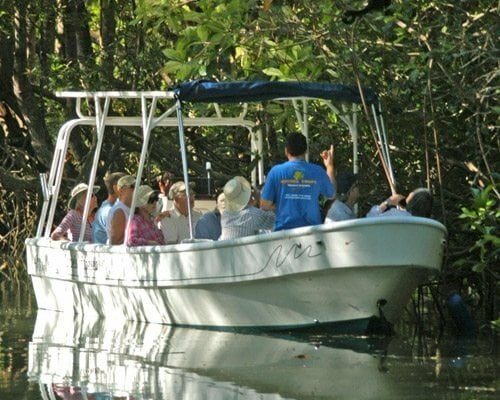 During the visit, the ship will pass through the channel Guacalillo, an estuary where four mangrove species (black, red, white and buttonwood) can be found. It is also an important refuge for the Scarlet Macaw (Ara macao) so their presence is very common. Enjoy the view and learn interesting facts about the country while en route to one of the 10 most active volcanoes in the world. Once the end of exploring through the jungle treetops on suspended bridges, flora and fauna observation that normally would not have access destination. End your journey in the natural hot spring water heated by the volcano, where your body and mind are one. Relax, enjoy and get ready for the incredible natural events mother. This ATV Tour in Costa Rica is the perfect fast San Jose area.With their professional bilingual guides and guide you through the tropical dry forest of Costa Rica, through the beautiful waters much wildlife of Costa Rica and enjoy the cool waters of the waterfalls we visited Costa Rica. 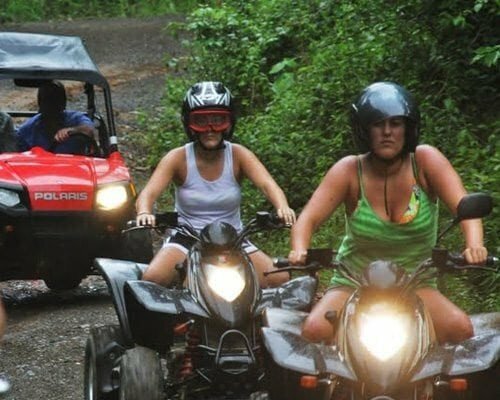 Discover more unforgettable ATV Adventure Tour Costa Rica. Choose Office 2-3 hours guided or lease your vehicle for 24 hours or daily visits. This tour starts in a special tractor to reach the top of the mountain, then down through a series of zip lines, 15 platforms and 14 cables, the longest cable in area 2, total distance of 400 m 2 miles. Locate in 80 acres of property, 50% of primary forest cover has stunning views over the bay and the island of Herradura. During the tour you will have the experience of seeing monkeys and a variety of birds of tropical forests, such as scarlet macaws, toucans, parrots and trogon. A cable car is a type of vessel on which a cabin is suspended from a cable and is pulled by another cable.Gondola Cable differ in that the latter use several smaller cabins suspended from a cord wound movement. This tour Rain-Forest Aerial Tram begins with an oral explanation and documented visual media in the field of bio-diversity will visit and experience. Then mount shelves where we share the air with other flying creatures this leafy canopy. Intimate group under the shade of various species of large mangroves, which grow only in certain regions of the world and in Costa Rica. Shows sloths and numerous species of monkeys travel through the tree tops, night silly anteaters, several types of non-poisonous snakes resting in the mangroves, and listen to songs of different sea birds as they glide over your kayak adventure quest with curiosity. Enjoy fresh fruits and snacks in the region, and finally a delicious sandwich and well worth it.